A. All teachers are qualified with appropriate degrees and training. 2. Kindergarten and elementary teachers must have a bachelors degree with twenty-four (24) semester hours of elementary courses, such as elementary reading, language arts, music, elementary science, elementary math, elementary social studies, and elementary physical education, or appropriate certification. 3. Pre-kindergarten teachers will be qualified if they have the bachelors degree (and/or an appropriate preschool degree) with at least twelve semester hours in elementary education courses, or if they possess certification as a kindergarten teacher, or teacher of young children, or an associate (two-year) degree in the education of young children. Also, seminary trained teachers in religious education of young children are qualified to teach pre-kindergarten. 4. The full-time librarian has twenty-four (24) semester hours in library science for a school containing grades one through twelve. ** 5. Teachers of credit bearing Bible and/or religion classes should hold a bachelors degree, but may waive the 24/12 hour subject matter requirement. B. 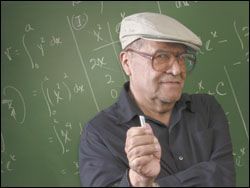 All teachers give evidence of a Christian commitment consistent with the philosophy of the school. ** C. The school conducts an annual evaluation process for individual members of the faculty. D. Professional staff members are employed by contract. E. Records for faculty members are kept permanently and show service dates, sick leave accumulation, transcripts (showing degree(s) earned), proof of necessary certification, evaluations, and evidence of ongoing professional development. ** F. Teacher planning, preparation time, and class size are provided appropriate to the teaching assignment and should be conducive to maximum learning. ** G. Qualified applicants are employed without regard to race, color, ethnic background, or national origin.